The Lehighton Boys and Girls Band initially started as a formal band called The Engine Co. #2 Boys Band on June 20, 1910 with band director Henry Reiss. On October 20, 1913, The Engine Co. #2 Boys Band became known as The Lehighton Boys Band. The Boys Band officially incorporated May of 1914. By the year 1940, the Band had already seen 140 members pass through it's doors. In 1981, the name changed to Lehighton Boys and Girls Band when girls were allowed to join the band. That is the name by which it is still known today. The Lehighton Boys and Girls Band has rehearsed at many different places over its lifetime. When the band was Engine Co. #2 Band, it rehearsed in the fire house. When it became the Lehighton Boys Band, it was moved from the fire house to a place called Diels Hall. Finally, the band built a structure of its own, which is called The Band Hall. This building was built in 1957 and still houses the band's rehearsals and lessons today. A handicap ramp was later added to the front of the building in 1998. 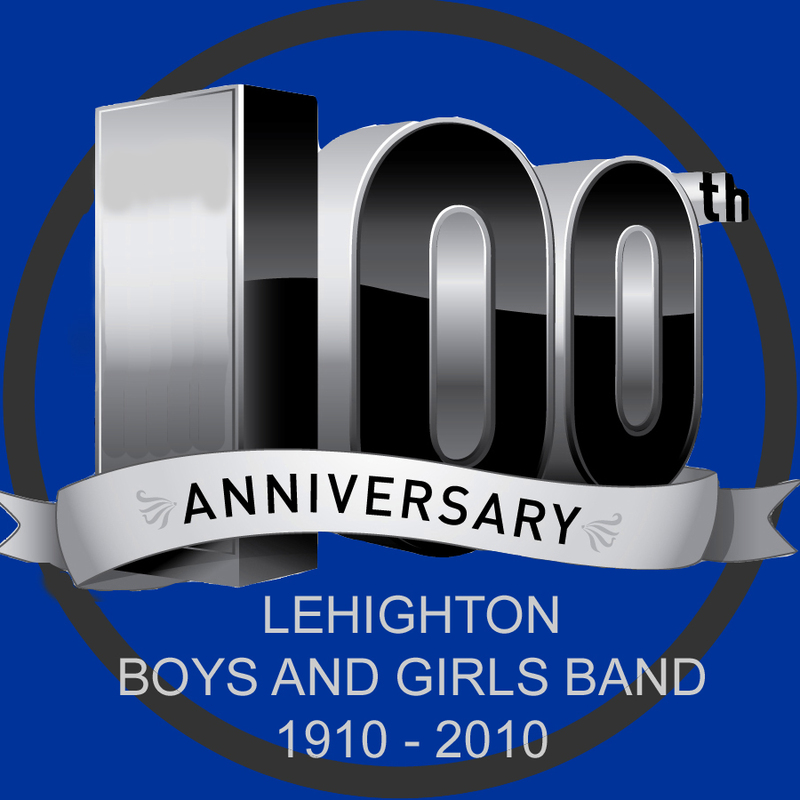 In 2010, the Lehighton Boys and Girls Band celebrated their 100th year by organizing a concert with the current students and as many alumni that could attend. You can find out more on our Anniversary page. If you wish to experience portions of the anniversary concert, a member of the audience captured some video clips that can be seen in three parts, part 1 , part 2, and part 3. I hope you enjoy it as much as those who were in attendance. Do you know something that we don't ? We are trying to document the history of the Lehighton Boys and Girls Band before we lose it entirely. To that end, we are asking everyone we know if they can provide whatever experiences and anecdotes that they may have regarding the Band. You can help by filling in the form here to send your thoughts to us. Any and all recollections of the Band, past and present, will be very greatly appreciated. Obviously, The Lehighton Boys and Girls Band have touched many lives since originally being established. It has been, and continues to be, the goal of the band to keep this opportunity alive for any young person interested in instrumental music. It is wonderful to see such a small community provide this experience to its youth for over a 100 years. We certainly hope that we can continue to do so for the next 100 years.